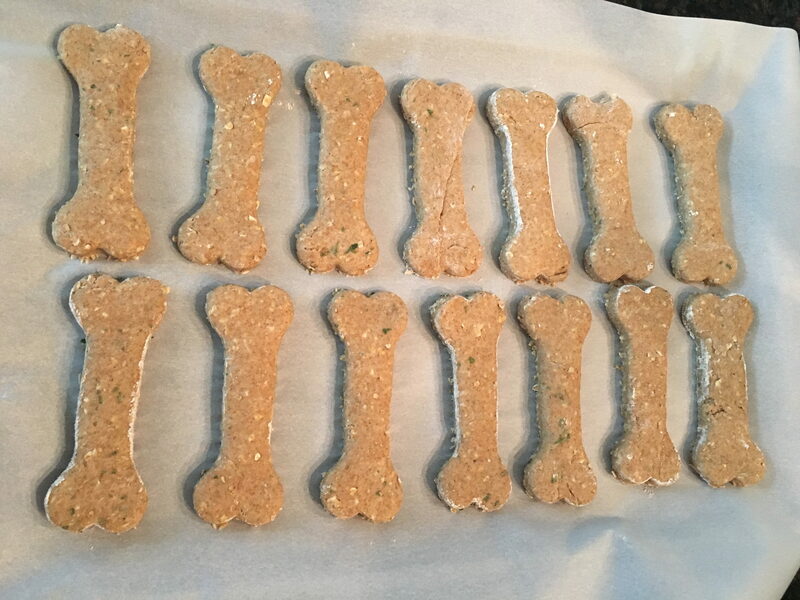 Today I decided to make some homemade dog biscuits for my favorite girl, Lacey. Using my handy Kitchen Aid mixer made whipping them up a snap! Mix all ingredients together. (I used my mixer) It will form into a ball. Roll out the dough on a floured counter and use a cookie cutter to cut out the desired shape. I rolled mine to about ¼-½ “. I dusted the cookie cutter with some of the flour so the dough wouldn’t stick. Place the cut cookies on a greased cookie sheet or use parchment paper. These don’t really spread so you can put them pretty close together. Bake for 30 minutes in an oven preheated to 350 degrees. This recipe made 17 bones and 2 small cookies (made from the scraps). Lacey endorsed these treats and declared them “Dog gone good”! And, Lacey begging for more! Silly girl. Hiring Movers to help with your Move!